Convenient location in a secluded place of Elabuga surbubs makes Club “Miami” a truly attractive place. 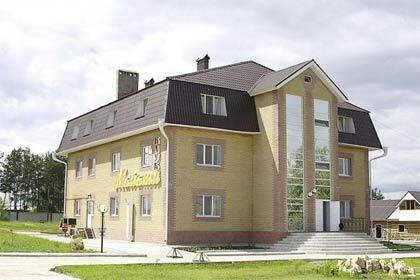 It is located in 1 km from city center and 20 minutes from historic place of the city. If you are in town on business or visiting, they will be pleased to see you in “Miami” – in this place quiet and comfortable for living, working and relaxing. You may stay with us for a day or more, alone, with family or friends. Restaurant Club “Miami” offers snacks, gourmet dishes, fresh juices and drinks. Every day after 18.00 live music is played for you. The restaurant can accommodate up to 100 people to hold weddings, meetings, receptions and other celebrations.